You can cross Lake Como on the motorship or on the car ferry (see red lines on the map). Expecially during the summer period are garanteed frequent connections by motorships among the villages and towns on the shore of Lake Como. 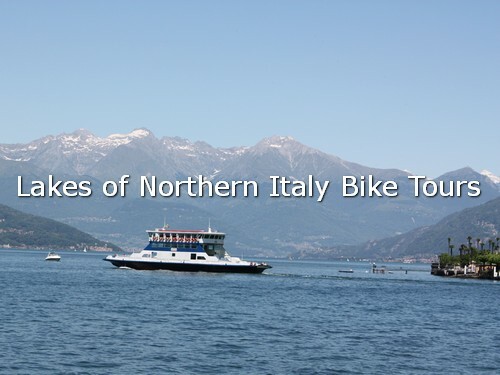 The transport of bikes and vehicles is garanteed for crossing the lake by ferry-boat among the village of Menaggio, Varenna, Cadenabbia and Bellagio, where Madonna del Ghisallo climb starts between the two branches of Lake Como. In Winter the boat service doesn't work between Lecco and Bellagio. We are going to update the timetables by 23rd March 2019 . The Lake Como basin has tectonic-glacial origins. The lake has a surface area of about 146 square km (56 square mi), an altitude a.s.l. of 199 metres (650 ft), a maximum length of 46 km (29 mi) as the crow flies, maximum width 4.5 km (2.8 mi), maximum depth 425 metres (1,394 ft), an average depth 154 metres (505 ft), shore length 160 km (99 mi), water volume 22.5 square km (18,200,000 acre·ft).